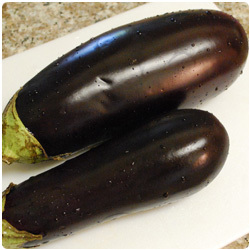 Wash and slice the eggplant. 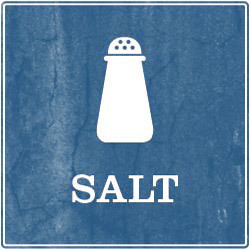 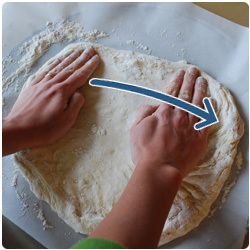 Leave it on a tray with salt for 10-20 min. 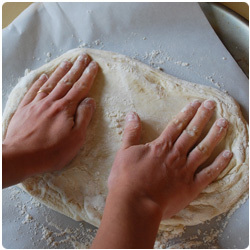 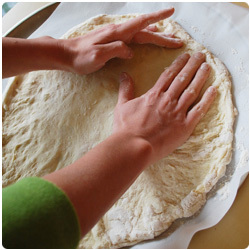 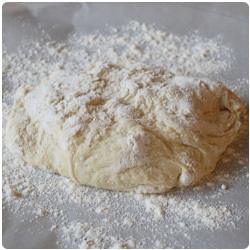 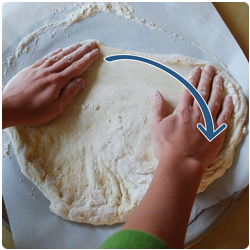 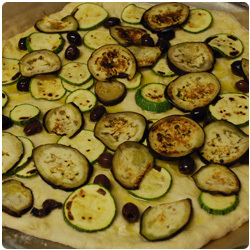 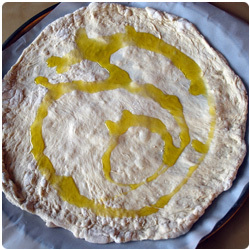 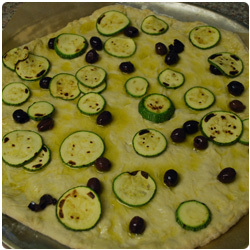 Once the dough is about the same size of the tray pour the olive oil on the dough, paying attention to spread it on the crust. 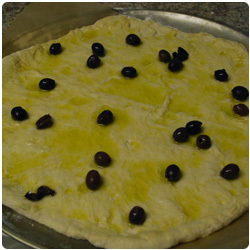 Add black olives. 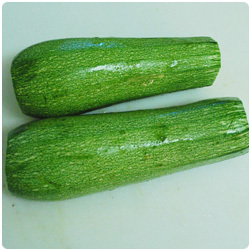 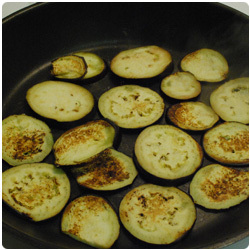 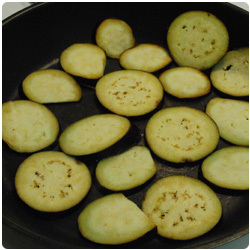 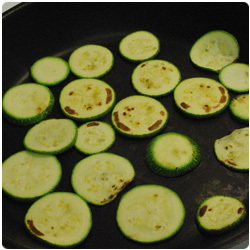 Wash and slice the zucchini, place them in a grill pan and grill them on both sides. 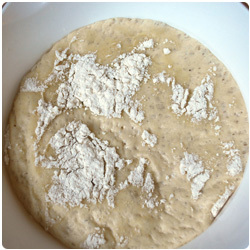 Once they are cooked add them on top of the focaccia. 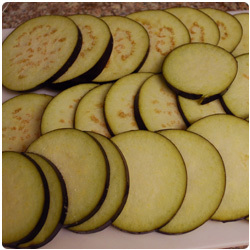 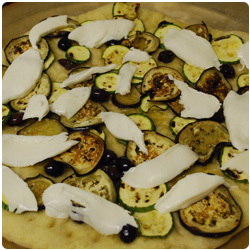 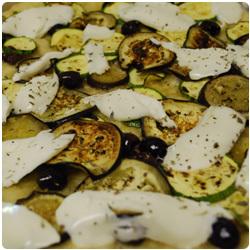 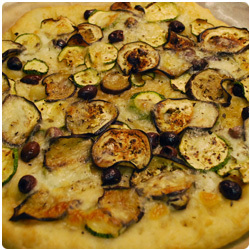 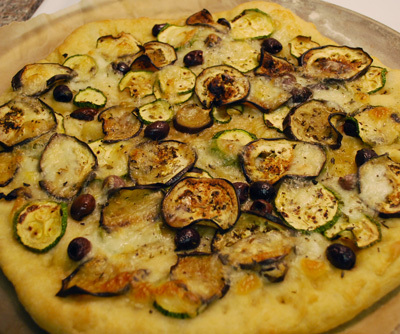 Grill the eggplant slices on both sides and add them on top of the focaccia. 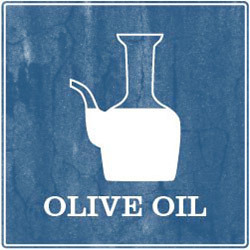 Add some olive oil on top and cook in the oven for 15 min at 200°C (390F). 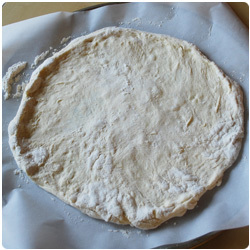 Then slice half of a mozzarella and add it on top of the focaccia. 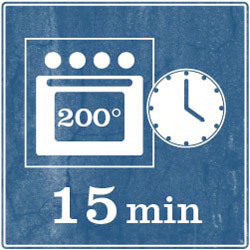 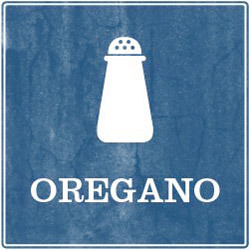 Add oregano and cook in the oven for 15 min at 200°C (390F).